The N.C. Chronicles. 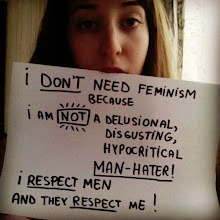 : A lesson to the leftwing feminists and their mangina husbands...your B.S. hate is over. A lesson to the leftwing feminists and their mangina husbands...your B.S. hate is over. If she really felt bad about her (I have my mangina husband under control, see how he does not speak), she would not have done this? Has Europe Mutated Into the USSR? Feminists have finally found the perfect male. Some of Islam must be confronted.